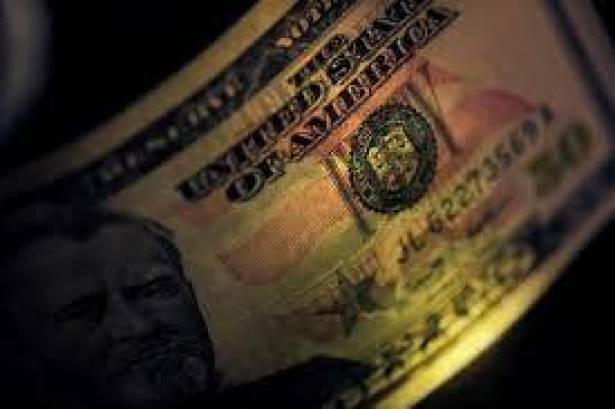 The dollar edged higher against the yen on Thursday, paring some of the losses it suffered after U.S. President Donald Trump suggested a shutdown of the government was possible and threatened to terminate the North American Free Trade Agreement. Trump warned late on Tuesday he might end the NAFTA trade treaty with Mexico and Canada after three-way talks failed to bridge deep differences. He also said he may shut the government if he does not get funding to build a wall on the U.S.-Mexico border. His remarks, made ahead of a debate in Congress over a spending package and raising the debt ceiling, knocked the dollar lower on Wednesday. The U.S. Congress will have about 12 working days, when it returns on Sept. 5 from summer break, to approve spending measures to keep the government from shutting. Also, a deadline is nearing for raising the cap on how much the federal government may borrow. In June, the Congressional Budget Office said Congress needs to raise the debt limit by early to mid-October to avoid a default. The dollar edged up 0.1 percent to 109.16 yen, regaining some ground in the wake of its 0.5 percent drop on Wednesday. Sim Moh Siong, FX strategist for Bank of Singapore, said it's unclear whether Trump's comments are a negotiation tactic or constitute a real threat that could lead to a government shutdown. "We have to think a bit harder about the downside risks of the dollar, especially against the safe havens," Sim said. The dollar might dip against safe haven currencies and assets such as the yen, Swiss franc and gold from time to time, until agreements on the budget and raising the debt ceiling are reached, he added. Analysts said the dollar may lack clear directional bias ahead of a gathering of central bankers in Jackson Hole, Wyoming, that starts later on Thursday. The dollar index, which tracks the greenback against a basket of six currencies, edged up 0.1 percent to 93.259. The focus will be on speeches from Federal Reserve Chair Janet Yellen and European Central Bank President Mario Draghi on Friday. Yellen may try to prepare markets for the possibility of another Fed rate hike later this year, said Tan Teck Leng, forex analyst at UBS Wealth Management in Singapore. "If anything I would suppose Yellen would want to recalibrate market expectations, at least to a 50 percent chance," Tan said. U.S. interest rate futures are now implying about a 40 percent chance of a Fed rate hike in December. On Thursday, the euro held steady at $1.1803, after having risen about 0.4 percent the previous day. German and French PMI data released on Wednesday showed both countries registering strong private-sector growth in August, helping to support the euro.